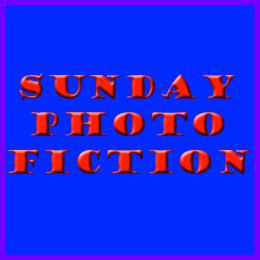 This story is in response to the Sunday Photo Fiction challenge, hosted by Alistair Forbes, that asks that you write a story / poem of around 200 words using the photo as a guide. Jae reluctantly followed his classmates as they trooped onto the ship. He’d been dreading the field trip for weeks; had begged not to go. Typically, his mum hadn’t listened to a word he said. History was actually the problem but unfortunately he couldn’t tell her that. He knew how she’d act. He’d be talking to the bloody shrinks again before he knew it. Not to mention, rattling like a pill bottle. Jae sighed, focussing on the guide prattling before the group. He’d just have to grit his teeth. Above deck was bearable. Just. With concentration he could ignore the scents, sounds and sights that drifted across his senses. He dealt with worse echoes of the past every day. 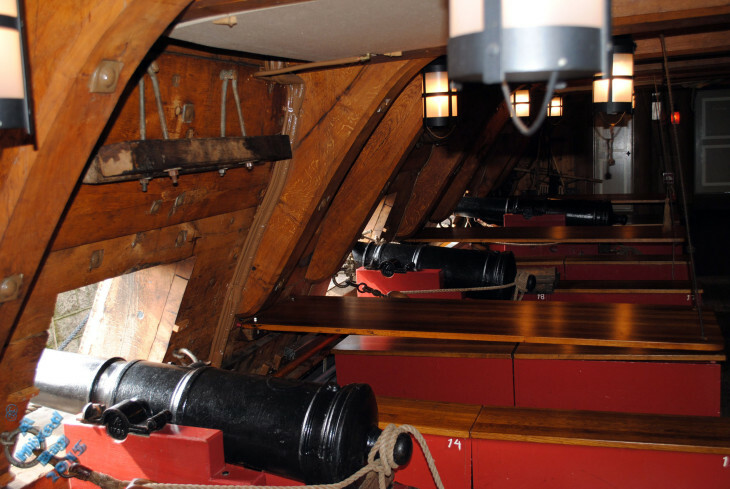 As their tour moved onto the gun decks, however, the weight of years pressed closer. Odours of sweat and gunpowder mingled in his nostrils whilst voices chattered, shouted and sang in disordered cacophony. The boom of cannons set his ears ringing and he ducked as deadly splinters flew. Screaming men and flowing blood turned his stomach. Ignoring his classmates’ jeers, he fled. Sometimes he wondered whether his mother had the right idea. If you want to read other entries or upload you own, click on the little blue frog. Poor Jae, is he imagining things? Possibly. On the other hand, he might have a special gift… 🙂 Thanks for visiting, Ameena. Sounds almost like PTSD, which is strange since he’s just a kid. Great story. More that he has a strange ability, though it can manifest in unpleasant ways that leave him in quite a state. 🙂 Thanks for visiting. Really cool. I love the story. It reminds me of a book, maybe The Giver. Thanks, Jenn. 🙂 Jae is actually the central character of a novel I’ve been working on for a very long time. It’s a very large project (spanning a very long period of time) that I’m hoping to complete sometime in the next decade or three! I’ve never heard of ‘The Giver’ – I’ll have to check it out. Cool – keep us posted! And I think you’ll love The Giver. Great story! I’m assuming Jae can see the past. Or am I wrong about that? That’s right. 🙂 It was a tricky concept to express in 200 words! I’m glad you enjoyed it. Wow love this take! Jake experiences ‘the past’ ghost and events around him. To him it’s very real but his Mom/classmates don’t understand his “sense” of what has occurred. Things like blood, and gunpowder would be quite frightening. Well written Louise! Thank you, Mandi. 🙂 That’s exactly right. I’m very glad you enjoyed it. It does sound like he has the special gift. I’ve heard about seeing the past when touching certain objects, but not about picking up scents. Great story…gives you something to think about! Intriguing! Are echoes of the past are filtering though and he’s susceptible? Or he has been reborn (I read a book recently where people lived multiple lives, being reborn as kids so they had to grow up again – “The First Fifteen Lives of Harry August” it was called, I think). Great story. A kid being able to see visions of the past would be difficult in normal places, but confined to a ship would have been terrifying. Whoa! Not ‘a gifting’ I would find pleasurable!